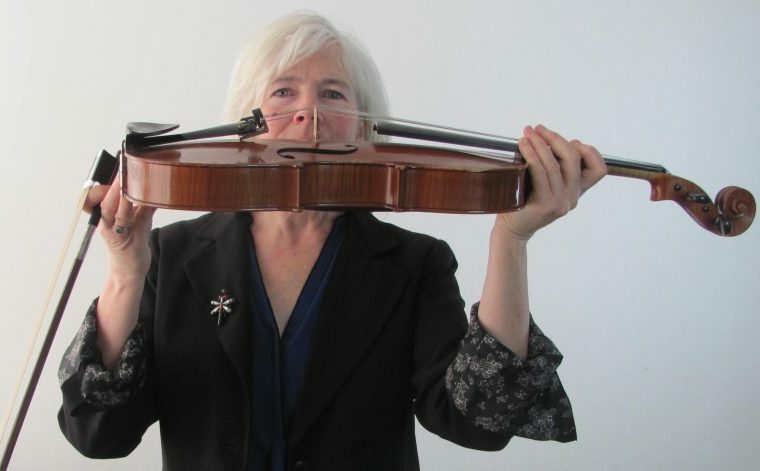 Julia Barnes, 59, is a musician (viola) and composer based in Zaandam. An American by birth, she’s lived in the Netherlands for 35 years and remembers the man who used to rollerblade around Amsterdam wearing just a thong. I came here from London to take lessons from a particular viola teacher. As a student I thought I would be in Amsterdam for one year. I had no idea about the local artistic scene and I found it to be diverse, wacky and wonderful. I met a man, now my ex-husband, and had two daughters. Today I am a performing musician, a teacher and a composer of new crossover projects mixing art, literature and music. I spent the last year and a few months composing nine song settings based on James Joyce’s Pomes Penyeach and putting them together with Dutch translations of the poems into a performance that tells the story of the poet’s journey from Dublin to Trieste to Zurich. I see myself as an immigrant after so many years, having lived and worked here for most of my adult life. I remain a Michigan native at heart, but a Dutch European as well. I don’t intend to leave the Netherlands. My daughters are both living in other countries now. One is studying abroad, the other is working with refugees in Athens. They are both Amsterdammers first and foremost, like New Yorkers are always New Yorkers. I speak, read and write in Dutch daily. I learned by imitating people at the market and by listening to reminiscences told by my ‘Dutch mother’, my landlady, when I first lived here. I suppose it would be stamppot, which reminds me of comfort food when I was a child, mashed or twice-baked potatoes with cheese. I think having 30 years of my past here has created a Dutch layer in me full of memories of life in the 80’s in Amsterdam: flats without central heating, the strange and colourful figures who used to people Amsterdam then (remember the fellow who used to rollerblade through the city dressed in nothing but a thong?). I would like to meet Truze Lodder, the former director of the Nederlandse Opera, as I admire what she accomplished there. Second would be Marianne Thieme from the political Partij voor de Dieren; I admire her standpoints, she looks at things from a different perspective. The third place I’d reserve for the many artists I haven’t yet met, not necessarily well-known, but who make crazy and beautiful things. Westerpark. For the design, the planting, the restored and refitted buildings, and good cafes. It’s very provincial AND very international, full of out-of-the-box thinking and creativity AND prosaic predictability. When I came to Amsterdam I was amazed by the gritty, open texture of it. There was a kindly tolerance in those days. I came from the very conservative Midwest and here was a ‘let it be’ attitude. There was enormous room for imperfection. I’d cycle or walk through all the places in Amsterdam where I lived. The Pijp before it was hip, the Vondelpark, Flevopark with its great trees to learn climbing, the linden trees opposite the Concertgebouw where I had my first date with my ex. I would revisit my past all over the city.